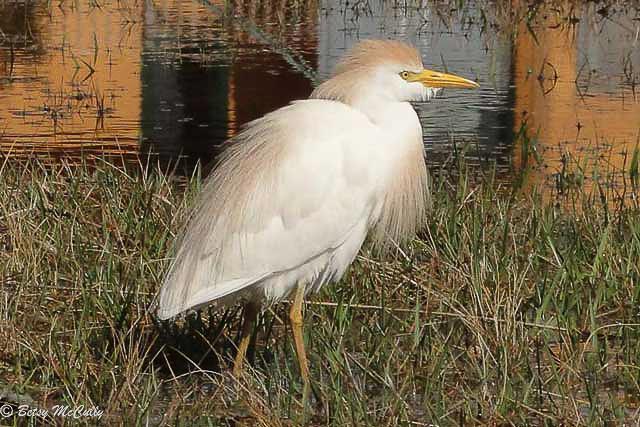 Cattle Egret (Bubulcus ibis), breeding plumage. Stray. Will feed with cattle on ranch grasslands.